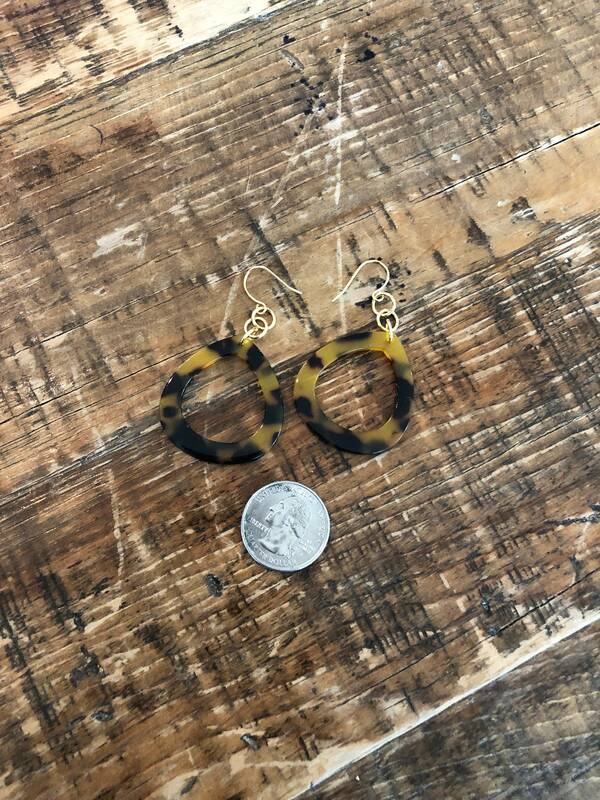 Leopard Print Hoop Earrings. 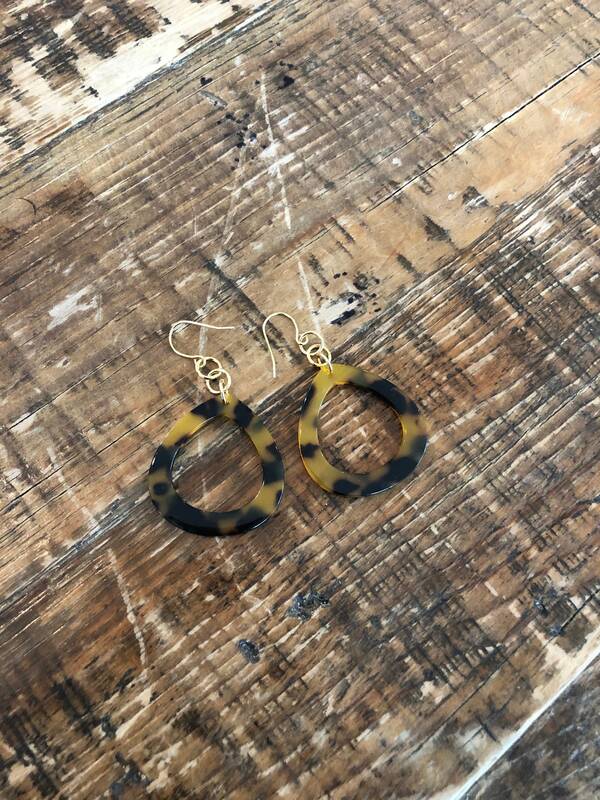 Tortoise Shell Hoop Earrings. These are so on trend right now! 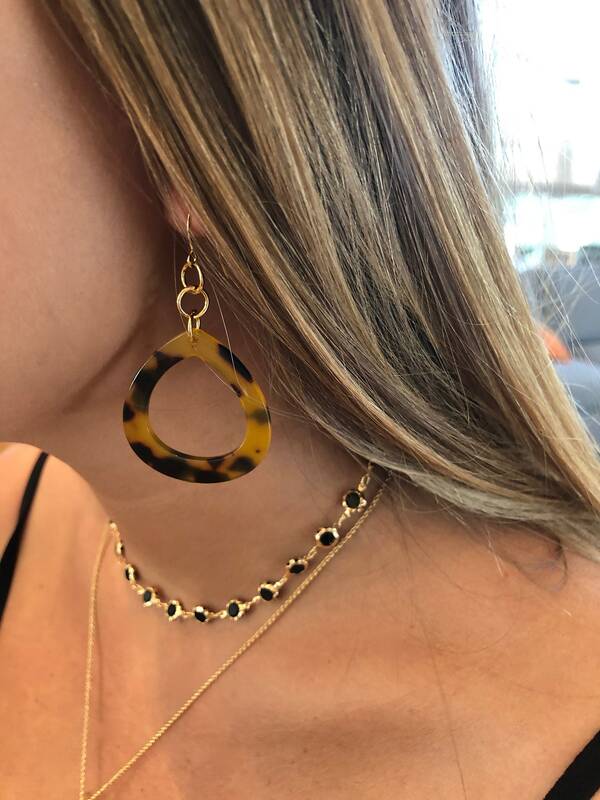 Tortoise shell hoops. We can't enough and they are super light on the ears!